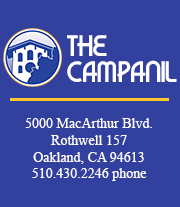 As the Students Services Committee of the Associated Students of Mills College, we would like to respond to recent opinion pieces about the M Center. We appreciate the concerns expressed by the editor and students and were pleased to see the thorough letter that the M Center wrote in response to these complaints. Please keep in mind that we too are here to help; if there are consistent complications with the services offered by any campus department -especially the M Center, housing and dining services, and transportation -you may e-mail the ASMC president, who also chairs the Student Services Committee. Her contact information, along with that of all executive board officers, can be found on the Mills website. Your specific representatives (senators and class officers) are also listed. Please bear in mind that in addition to serving the nearly 1,500 currently enrolled Mills students, the M Center also caters to prospective students and alumni. Despite this, it has been one of the most cooperative departments here on campus. After last semester’s town hall meeting, the M Center contacted us to help them collect suggestions from the student body and to address student concerns and questions. We advertised for suggestions under conditions of absolute anonymity for two weeks on Student News, yet in the end only received about seven responses. Therefore, we also ask students to be proactive in their business with the M Center. Please avoid submitting forms until the last minute and engage in dialogue with M Center staff if you encounter a problem. If they do not respond, then send another e-mail or make a visit in person, and please be polite. We all understand the stress and frustration of certain procedures like applying for financial aid and registering for classes, but the staff deserve respect just as you do. And while we cannot intervene in individual issues, if you have a suggestion for improving M Center services as a whole, please contact us and we would be happy to share your concerns with them. We will be holding a town hall meeting on Monday, April 13 in the Faculty Lounge at 4 p.m. This is your chance to discuss broader issues with campus services, including the M Center. We hope to see you there. – ASMC Student Services Comm.